Are you tired of your dead-end job? Looking to add excitement to your career? Why not try to become a dental assistant today! 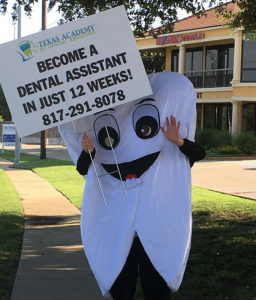 Here at Texas Academy of Dental Assisting we are dedicated to our students to make sure they get the best training possible. We are super excited that 20 percent of our recent graduates have already secured a job as a RDA! We offer a short 12-week course that will give our students many different challenges so that they have the skills to function in a dental office. 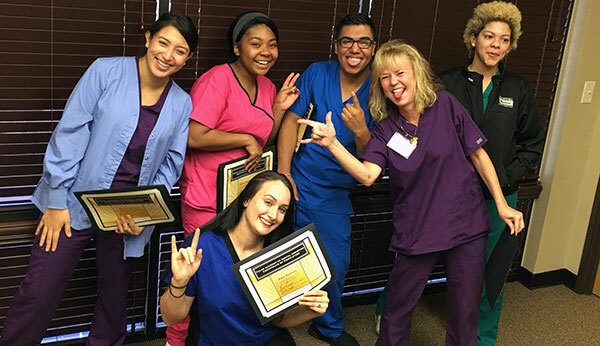 Our students are always rising to meet goals since they are so dedicated to becoming dental assistants. We are thrilled that our recently graduated student Jennifer M. landed a job in general dentistry. Jennifer had been a hair stylist for 11 plus years and decided to transfer her skills to dental assisting. Another of our graduating students, Emily N., has secured her first job with a pediatric office. Congratulations Emily! Emily came to us when she was working as a day care provider. She is compassionate, has a great sense of humor and demonstrated a strong desire to be in the dental field. We are very happy for her! We also want to give a high five to graduate student Summer E. Summer was working as a Pharmacy tech and had an interest in pursuing the field of dental assisting. After just 3 months of training Summer realized her dream and is working as an RDA in Burleson. Congratulations! 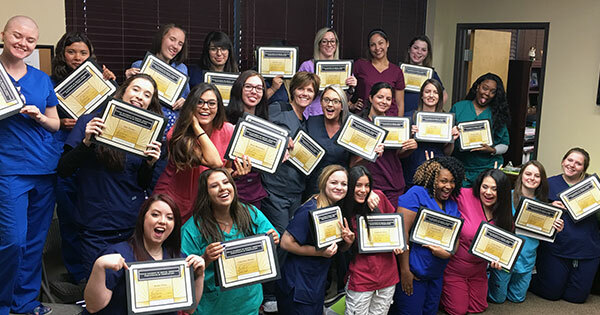 Take a chance like these ladies did and become a dental assistant today! Don’t wait…Email or call us at (817) 291-8078 today!